Cycle on Tenerife island and experience all the mountains & volcanos of this beautiful Canary Island. You will experience the beauties of Tenerife whilst riding your bike. 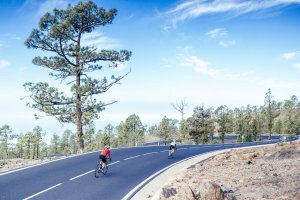 These cycling rides on Tenerife island features many highlights like the climb to “El Teide” through the rugged landscapes of Tenerife National Park. The peak lies 2300 meters above sea level. Tenerife is by far the most interesting island on the Canary Islands. 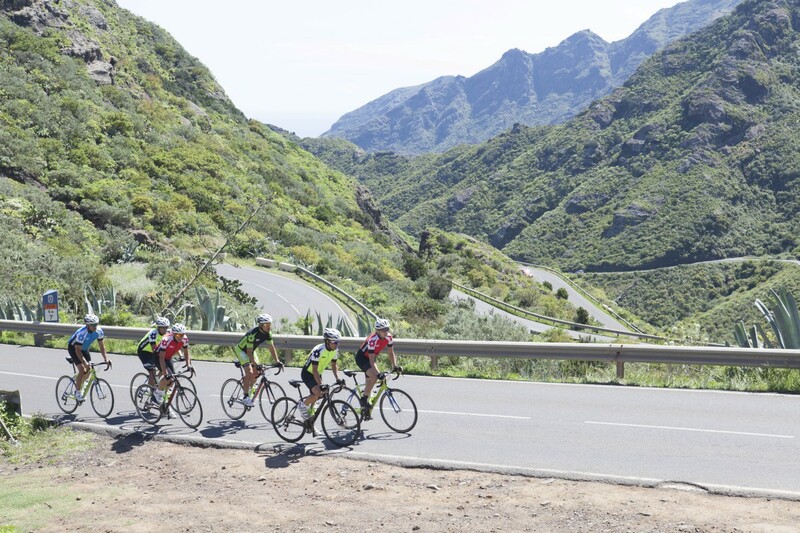 Combine cycling with great panoramic views, sunshiny beaches and beautiful mountain ranges! You will ride through tiny villages with always the Atlantic Ocean in the vicinity of the track! 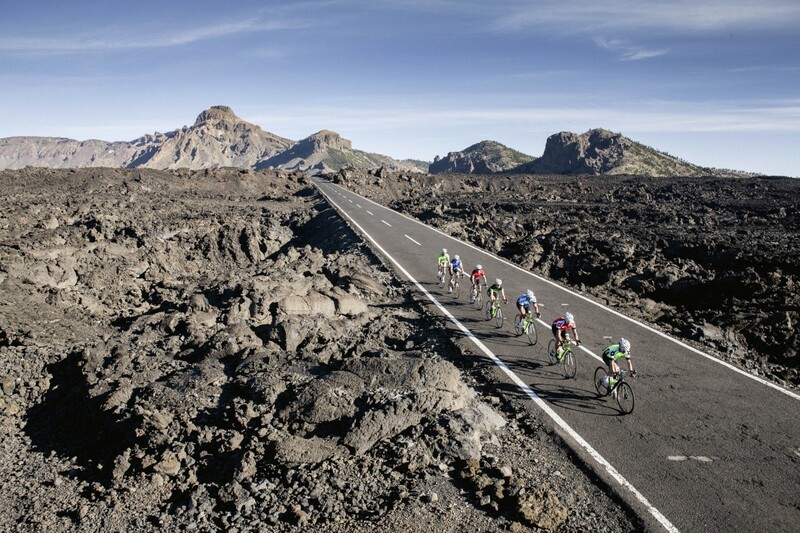 Cycle and experience the beautiful Canary Island of Tenerife! Stunning landscapes with black Volcanic peaks and old colonial architecture. Shuttle from the shop to tour starting point (to avoid heavy traffic zones). Los Gigantes Valley. 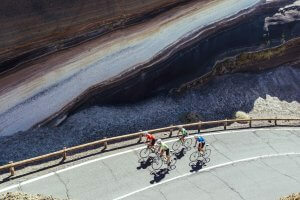 Train your climbing and downhill skills on smooth and gentle winding roads with great views. 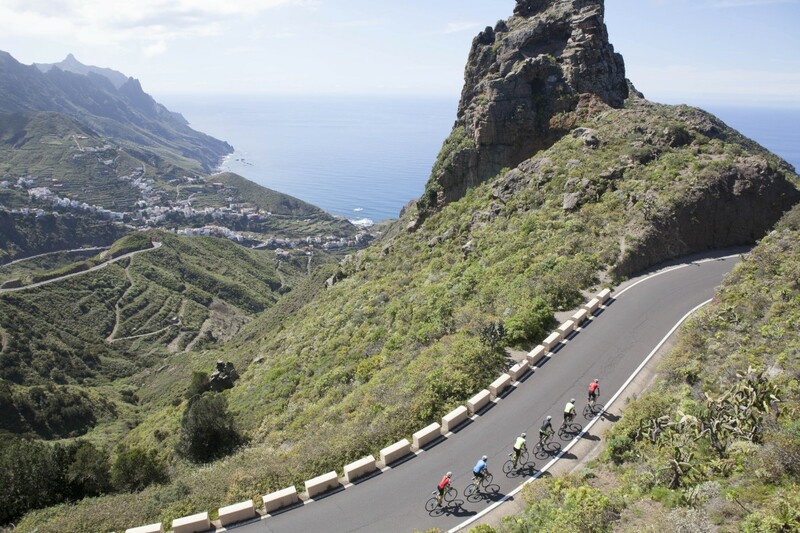 A nice 3 km drop towards the Los Gigantes valley will be the start for a great day out on the bike. The climb from Tamaimo to Arguayo (today´s highest point, 1100m) offers a regular gradient that is ideal for steady pace training. Later we cross the Terra Negra region: these black volcanic rocks are the remains of numerous volcanic eruptions. The ride back towards the bike centre is a gentle warm down for another awesome ride. Shuttle from the shop to tour starting point (to avoid heavy traffic zones). Los Paleos view point at 1450 mtr. 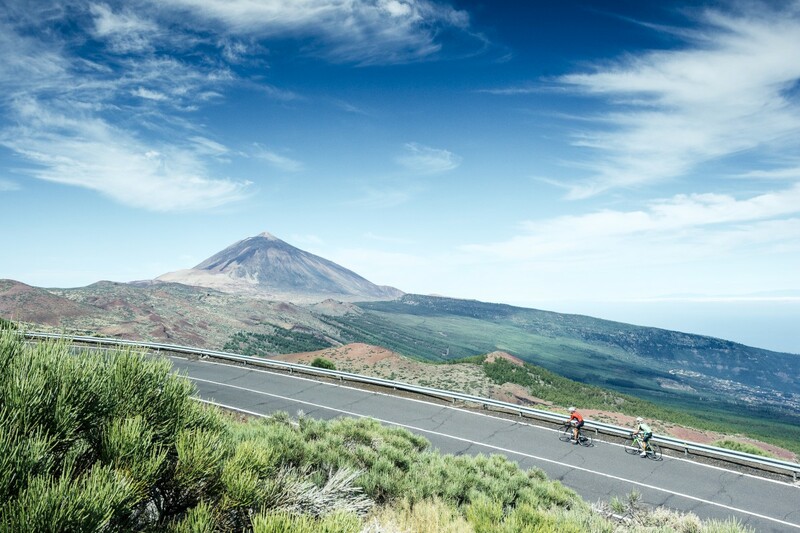 is the start for this “must do” ride towards the colossal Mount Teide. From here - on clear days - you can see the island of La Gomera, El Hierro and La Palma. 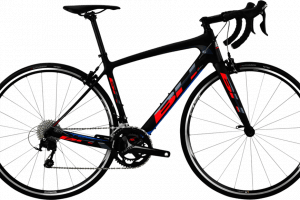 Pure cycling fun that begins with a 15 km non-stop ascent with an average gradient between 4-7%. From El Retamar, at 2.100 m height, there is a delightful 35 km downhill. 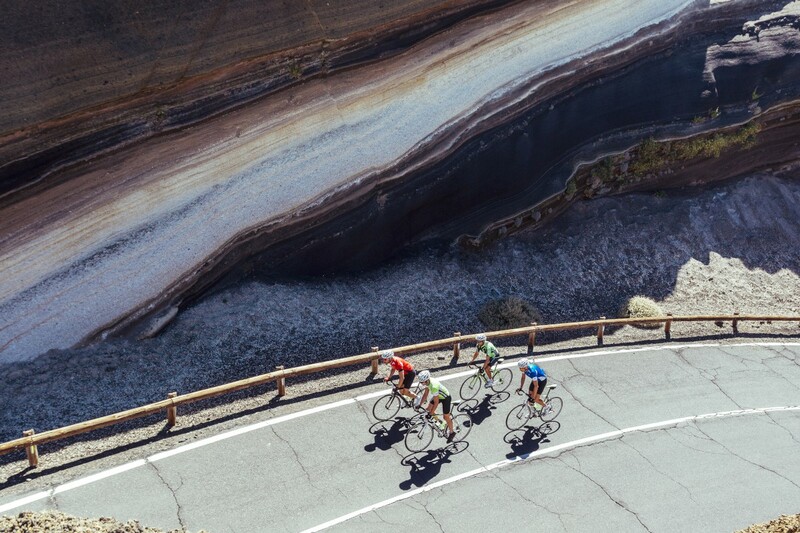 This ride offers you the experience to climb a Giant, passing the most volcanic sceneries Tenerife has to offer. East Coast "Carretera Vieja" Ride along the carretera TF-28: another pro´s favourite ride due to it`s rolling hills. The day begins with a 40 minute transfer shuttle to the start in Güímar Valley. The carreteraTF-28 was the first road that connected Santa Cruz de Tenerife with the southern part of the Island. Nowadays it has become a popular training route for a lot of pro teams due to its rolling hills. You continue at a cruising altitude between 400-900 meters and pass through authentic local villages. The southern coast line, and this entire route, is simply spectacular. 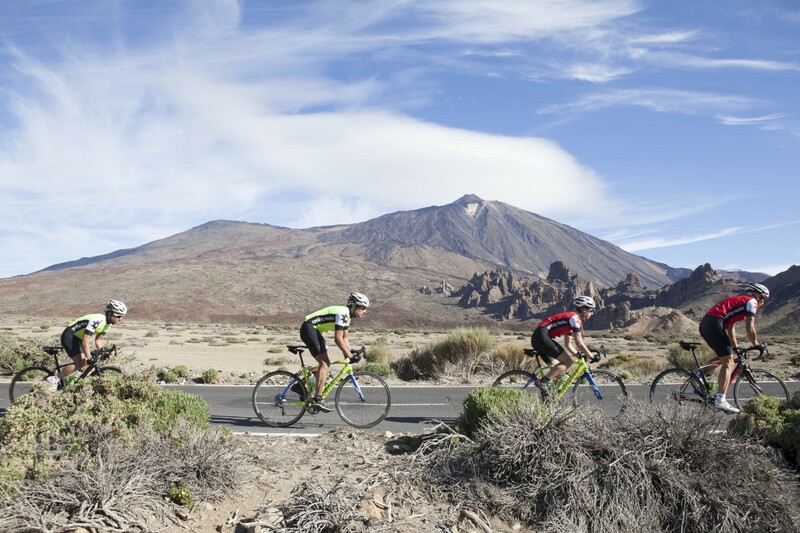 A 30 minute transfer shuttle will take you to the start in Santiago Del Teide at 900 m height. The reward after a short but demanding climb is a breathtaking view over the Masca Valley. From there is a relaxing downhill on winding road and brings you towards the starting point of the legendary Banana farm climb. Once back in Guia de Isora it’s warm down on rolling hills till the bike centre. This is not the hardest ride in Tenerife but it´s optimal to enjoy the best scenery and terrain. Half way you will tackle a nice and steady climb over 5 km. 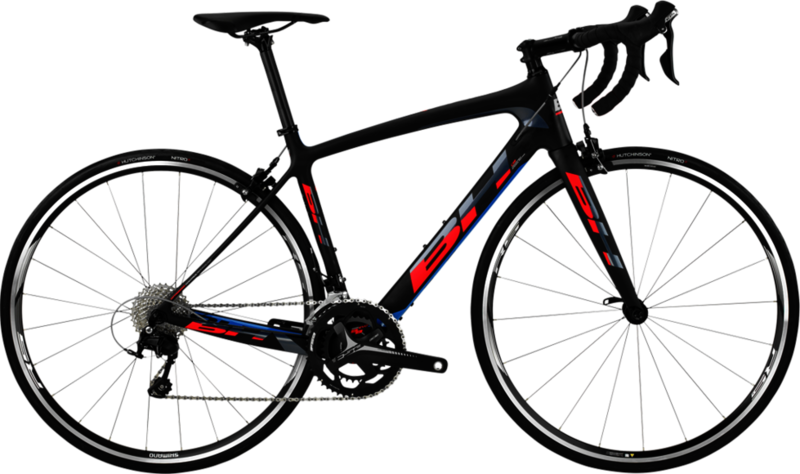 This ride is a cycle from and back to the Bike center. Tenerife's main airport is Reina Sofia in Sante Cruz de Tenerife and the most important hub to all destinations in Tenerife. There are many regular flights to/ from Europe. The airport is 60 kilometres southwest of the capital Santa Cruz and 16 kilometres east of Playa de Las Americas. In the north part of the island there is a small airport, Los Rodeos. Domestic flights leave to/from other Canary Islands and to the Spanish mainland. Four bus routes connect you direct to the most popular tourist resorts. Line 40 goes to Puerto de la Cruz, line 341 to Santa Cruz, lines 487 and 470 to Playa de Las Americas and line 464 to Granadilla.